Our Elf on the Shelf didn’t show up until the middle of December last year. That didn’t leave any time to prepare for his arrival. This year we are planning ahead to make sure our Elf on the Shelf experience is extra special. (You know how much l like to plan ahead)! I started asking M and M (8 & 6 years old) some questions about their elf. Where is he now? When will he come back? How will he get here? What will make his travels more pleasant? Together we decided to sit down and create a little Elf on the Shelf care package… to make sure he has everything he needs for the long trip. Family creating parties are one of my favorite things to do. We sit around our creative table and chat while we work. The best part is I can see the process that went into the final product… and usually it’s the process that shines! A notebook for writing about his journey. A bag of art supplies. Little M insisted that everyone does art when they travel. Wonder where she gets that from… hee hee. 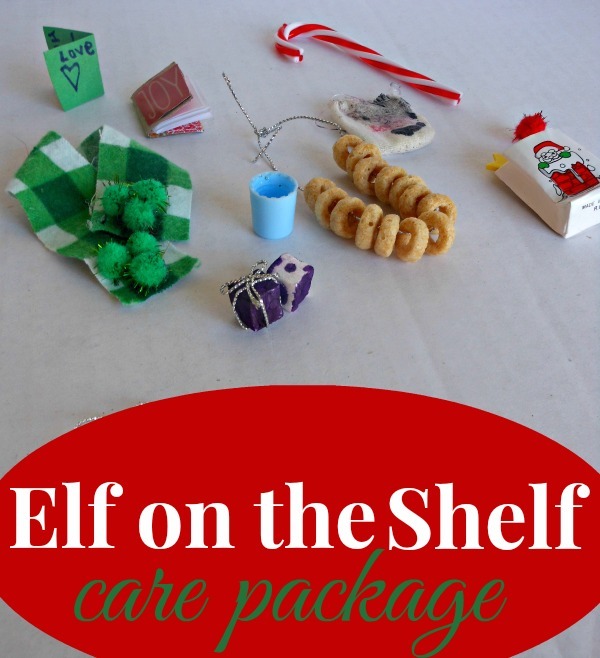 I think our elf will be very happy to receive this special care package. Don’t you? What would you add in? Little M also thought he would like a place to come home to. That will cover at least one night of placement! I already know there will be days that I completely forget to move the Elf… Sweet C Designs uses a special card (which she made into a printable… so nice) for times that the Elf gets touched. I’m going to use it cover my “moving” mistake instead. 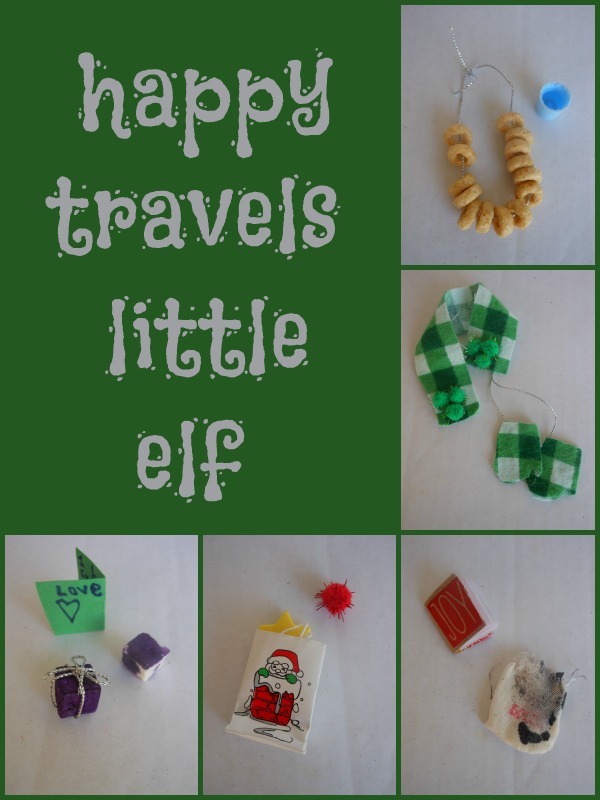 Find some elf ideas… you can start on my Elf on the Shelf Pinterest Board. You’ll notice that I did not ever call our elf by name… that is because none of us can remember. I’m reluctant to rename him because it may be written down and stored in the bottom of the Christmas stuff with the elf. A smarter move would have been to save it on my computer or written in this year’s calendar. How do you keep track of your elf’s name? Or do you just have a better memory than us? What special Elf on the Shelf moments are you excited about? YAY! I love that you have made the Elf work so well for your family. Thanks for sharing. We built our elf house tonight! We are slowly building it up so he can come home! 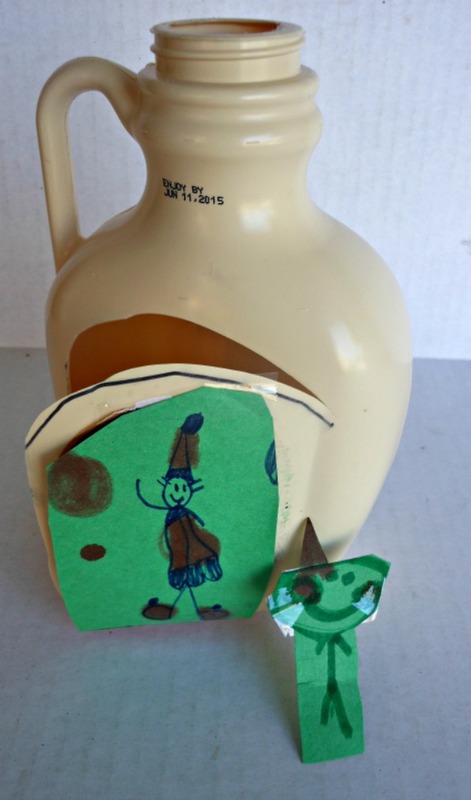 My 4 year old and I had a great time being creative together tonight! Thanks for the idea!